Wolfenstein might be a brass, violent shooter if you’re just peering in from over the fence, but The New Order established something far deeper in both protagonist B.J. Blazkowicz and his rag tag group of rebels taking on the new Nazi Empire. And their work is far from done. The war (or better put, the repercussions of it) have spilled over into the United States, now ruled by the iron fist of the Nazi regime. The American people have lost the will to fight back, and soon the world won’t even remember the freedom it once had. Unless you, two pistols and a few nukes have something to say about it. 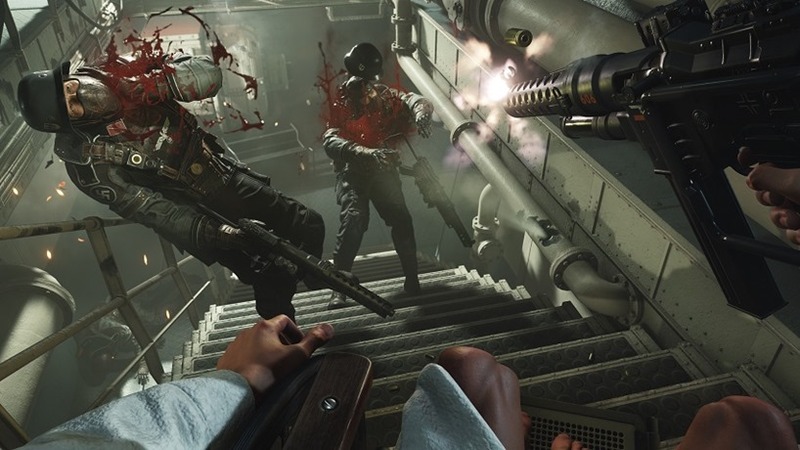 Wolfenstein II: The New Colossus is all about regaining the fighting spirit, and once again puts you on the back foot when mowing down hordes of augmented Nazi soldiers on your path to retribution. It’s a violent affair as the trailer below shows, full of dismemberment, decapitations and dissolution in some cases. You’ll have a dizzying array of weapons to go both load and silent with as you tackle mechanised soldiers, autonomous hounds and fascism itself. Be sure to punch it square in the face. But the crux of why The New Order worked came down to its characterisation and narrative, which looks to be just as fine in this upcoming sequel. A fresh new batch of faces and a fine line between grief and humour is struck in just two minutes alone, but you might want to be careful where you watch the majority of the trailer. Or, at the very least, make sure you have some headphones on. Wolfenstein II: The New Colossus is just one of the many massive games out next month, launching on Xbox One, PC and PS4 on October 27th. If you’re up for waiting though, the game is also headed to Nintendo Switch early next year.